The next installment in the Liquid Bloom Re:Generations series comes courtesy of Bay Area percussionist Scott Sterling. 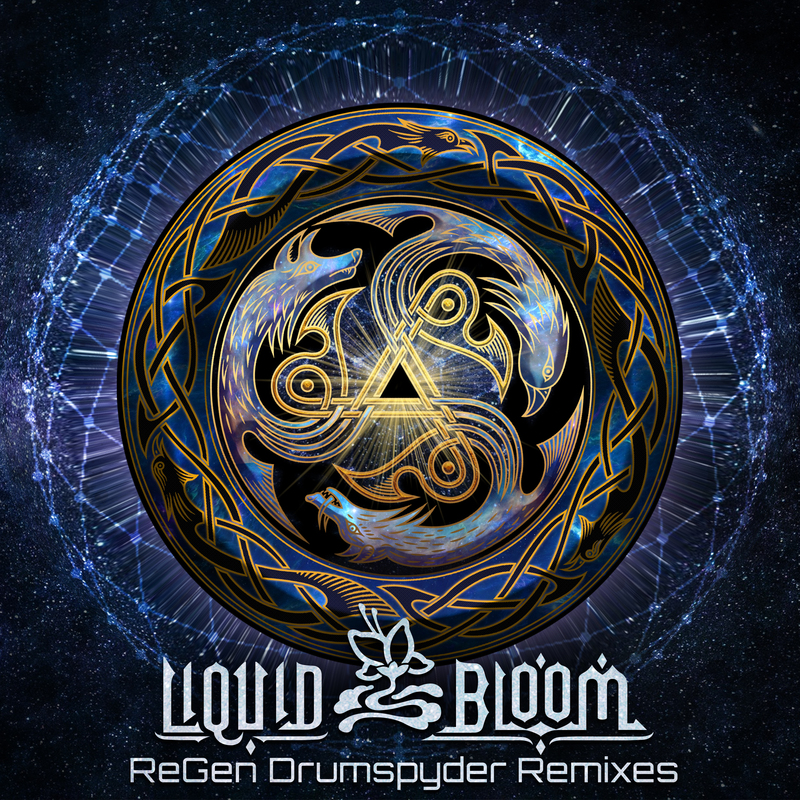 A longtime collaborator of Desert Dwellers, and staple in the psychedelic and global bass scene, Drumspyder brings a rich, acoustic warmth and depth to his remixes with layers of percussive snap that makes you feel like you’re right there with him in the studio. Taking on two Liquid Bloom tunes which feature powerful vocalists and fellow deep-rooted members of the Desert Trax community, “Resonant Migration” with Deya Dova pulses with vibrant kit drumming, and “Jaguar Dreaming” with Ixchel Prisma reverberates with each thud of the hand against those taut skin frames.